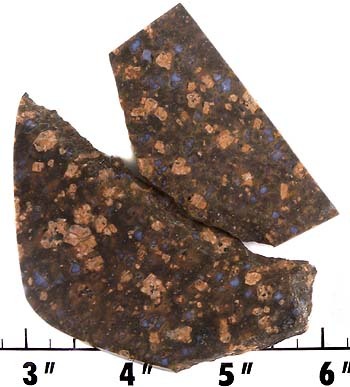 Llanite is a granitic material that contains the only known, natural form of blue quartz crystals large enough to be seen without magnification. It is only found in one place, near Llano, Texas. 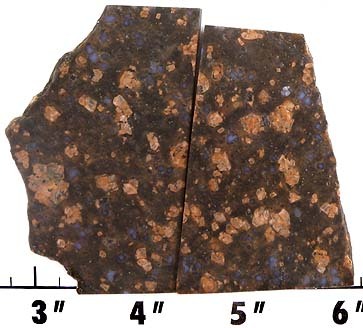 Llanite, also known as Llanoite, is an unusual porphyry material found outside of Llano, Texas. 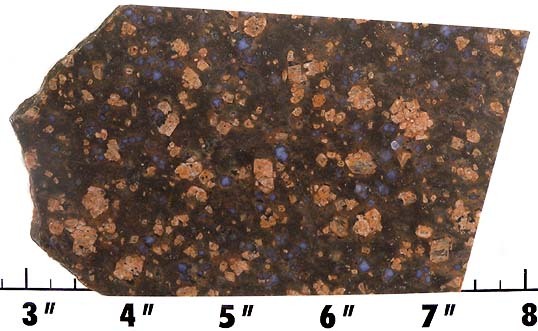 The opalescent blue crystals in Llanite are natural blue quartz. The blue flashes make this an unusual gemstone! There are only two occurances of natural blue quartz crystals in the world. 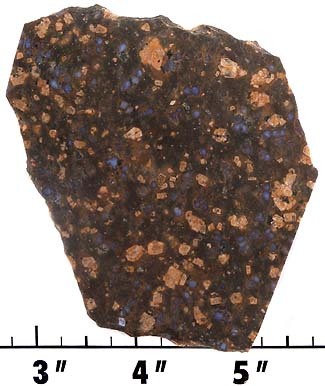 The blue quartz crystals in Llanite are the largest known. 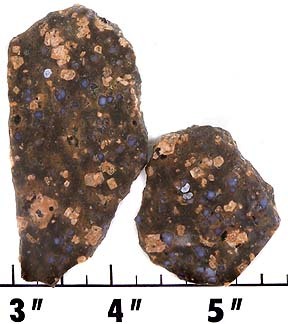 Llanite polishes well with tin or cerium oxide. Polished on one side and domed. 1 at 9/32 to 1/4" thick.